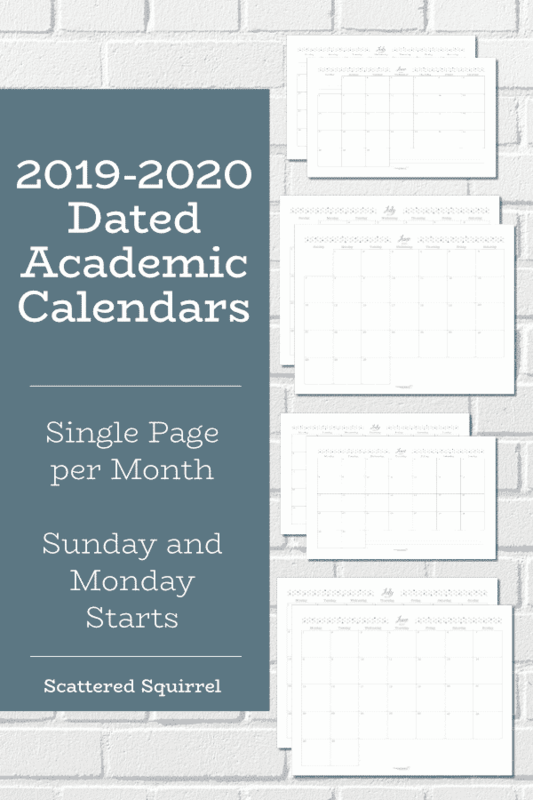 Whether you’re getting a jump start on planning for the new school year or just prefer planning around the school year, monthly academic calendars are a great starting point. They allow to plan ahead and give you a great overview of what is happening each month. 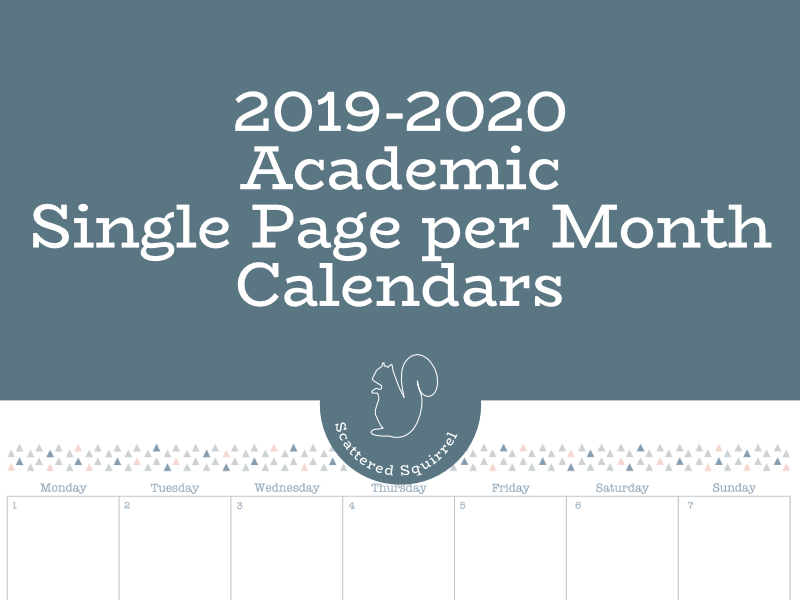 The single page, monthly academic calendars in this post are great for marking down important dates, blocking off vacation time, and giving you a general feel for how your year is going to go. This is the second year that I’ve made monthly academic calendars. They were such a big hit last year that I knew I had to do it again this year. Aside from the designs there are a few changes I made to the set up. I used all the feedback I got last year to help make these ones even more functional for you. Make sure to read the descriptions under each section to find out what’s changed. The first round of dated academic calendars was the year on a page calendars. This round it’s time for the single page per month. Just like with the year on a page calendars you have your choice of sizes. This way you can choose the version that will best fit your planning needs. I always have a full-size, single page calendar posted on our family command center. 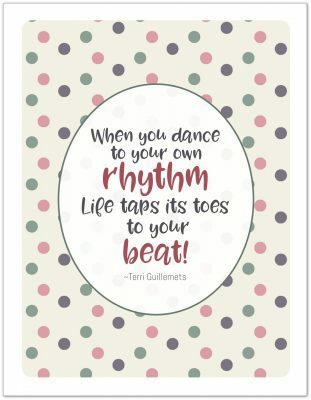 I use it to highlight special dates, appointments, and reminders so that our family knows what is going on. In the past I’ve also used these versions for planning our meals, our homeschool schedule, and for assigning chores to the kids. The ways to use a single page calendar are almost endless. I love using these ones for project planning. They’re a great size for hanging the whole year on the wall, allowing me to see all the projects we have planned through out the whole year. This year, the half-size versions are not set up for double-sided printing. After an overwhelming number of requests to have them back to the old version, I decided to go back to the original layout for these. 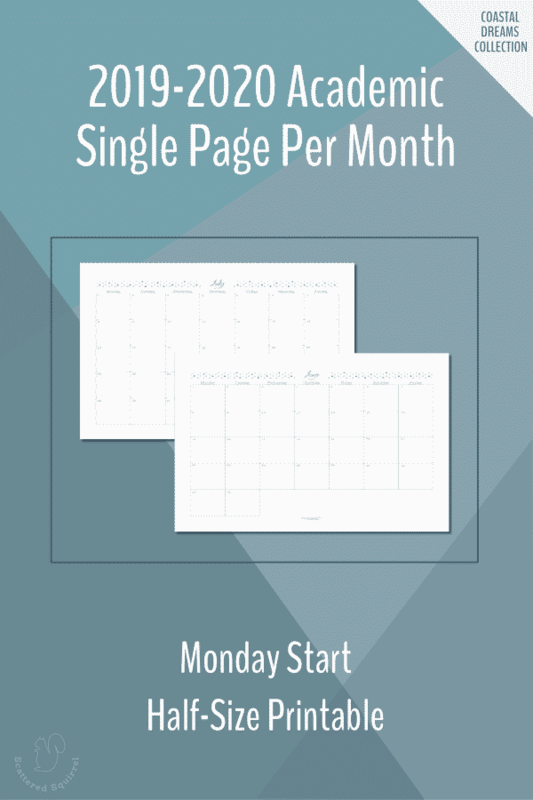 Later this month there will be some new monthly planning pages that have been designed specifically to be printed on the blank side of these ones. 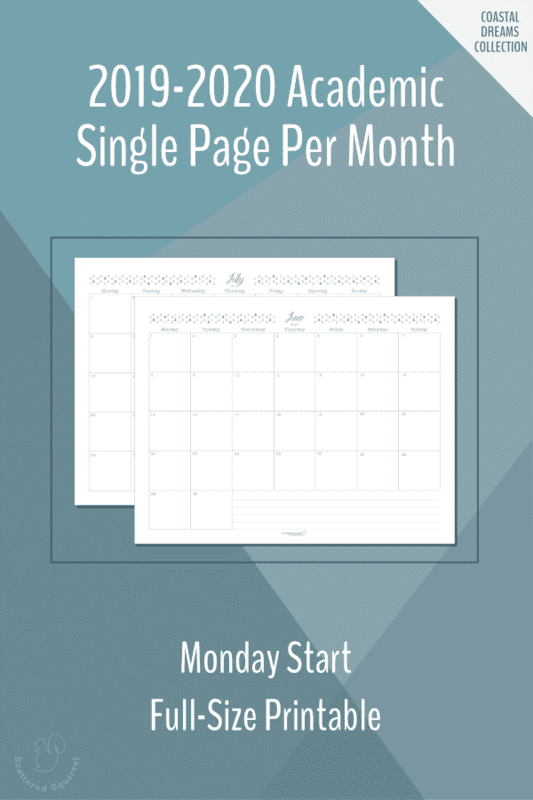 If single page monthly calendars don’t fit your needs, don’t worry! The two page monthly calendars are the next ones to be shared! What do you think of the calendars so far? Drop me a line in the comments and let me know.